Richmond, VA - Today it was announced that the Mac Baren Tobacco Company of Denmark has agreed to buy the Pipe Tobacco Division of Altadis USA in Richmond, Virginia. The transfer of ownership will be final on or about May 1, 2013. With the new ownership comes a new / old name for the company. 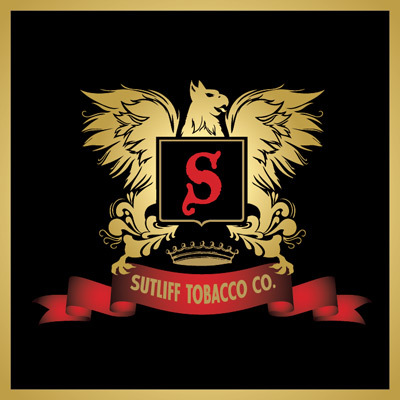 Altadis USA Pipe Tobacco Division will now be a stand-alone company named Sutliff Tobacco Company. This was the original name of the business when H.W. Sutliff founded it in San Francisco in 1849. All production and distribution will remain the same, including product lines that do not contain the Sutliff brand name, such as Tobacco Galleria pouches. In other words, everything made in the Richmond factory will continue to be produced and distributed just as before. The product mix will not be limited to Sutliff-branded products, even though that will be the new company name. In time, the pace of new product introductions from Sutliff is expected to increase, and there may be new jobs created with the need for an expanded salesforce. (No layoffs are anticipated with the new ownership.) Additional salespeople may be needed to take over the Mac Baren distribution from Phillips & King International. In a quid pro quo, Mac Baren will distribute Sutliff products outside of the U.S. It seems both organizations are poised for increased sales and market share globally. In a telephone conversation with Paul Creasy, the former General Manager of the Altadis division, and now President of the new company, he spoke about how this deal will reinvigorate the Sutliff Tobacco Company. 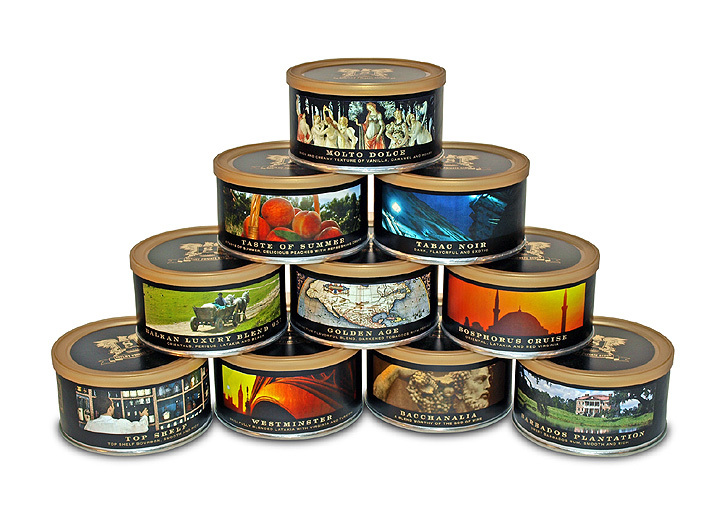 "The last time this company was owned by an actual pipe tobacco company was 1969! This deal has been in the works for over a year, and I’m thrilled to have it come to fruition." "I’ve known all of the guys at Mac Baren for years. I’ve been to the factory in Denmark, we see each other at shows… you should remember to always be nice to people because you never know who you’re going to end up working for." Creasy explained that being owned by an actual pipe tobacco company will make it much easier to allocate resources for new products and marketing. He expects there to be an increase in new product introductions and promotions as the bureaucratic handcuffs have been removed, so-to-speak. "It’s hard to make the case for a new flake that will set the pipe tobacco world tingling, but not even register on the radar of a large company—cigarette people deal in billions, cigar people deal in millions and pipe tobacco people deal in thousands. Thousands still means something to us. They don’t mean as much to very large corporations. Expect to see more new products and promotions in the future." Since the Sutliff Pipe Tobacco Company has such a history, and part of the appeal of pipe smoking for some people is the nostalgia, we asked Creasy if some old, historic Sutliff blends may be brought back. It’s a long history. 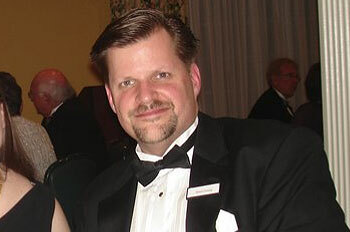 When I originally came to the company 25-years ago, it was referred to as the Sutliff Division (1988). The Sutliff family owned the company from 1849 to 1969 when it was bought by Consolidated Cigar. Gordon Sutliff the great, great, great nephew of the founder of Sutliff comes to our Christmas party every once in a while. He sold the company to Consolidated Cigar in 1969. Consolidated Cigar went through many different ownerships—it was owned by Gulf & Western, it was private, it went public, there was a leveraged buy-out, and then eventually in 1999—Seita, the French tobacco monopoly bought Consolidated Cigar. They only owned it briefly, then Seita and Tabacalera De España merged (and this is all unrelated to pipe tobacco - we’re just a rider on this roller coaster ride) … Altadis was formed from this merger. At the same time Tabacalera De España owned Hav-A-Tampa and Seita owned Consolidated Cigar, so now the two major cigar companies in the country are merged together because their two parent companies merged. That was around 2000-2001. Altadis USA was founded as a subsidiary of the parent company in Spain. Altadis was then purchased by Imperial Tobacco in 2008. Prior to the purchase of Altadis, Imperial Tobacco owned Commonwealth Cigarettes here in the United States. Commonwealth Brands (cigarettes) and Altadis USA (cigars) merged to become Commonwealth-Altadis USA. In the meantime, we’re just this little pipe tobacco company along for the ride. Commonwealth-Altadis, which is now one company that has just gotten progressively bigger, is selling the Pipe Tobacco Division separately to Mac Baren Tobacco Company. We have now come full circle and will once again become Sutliff Tobacco Company, as a stand-alone, separate business with operations being maintained in Richmond Virginia. We are a separate business from Mac Baren, but owned by them, officially around May 1st. Now that is a confusing series of events and evolution of a fine old Tobacco Company. From everything stated in this story it is certainly good news to hear that Sutliff will now be back in the ownership of Pipe Tobacco people. They may be small compared to the giants in the tobacco industry, but this merger will surely bring about more fine pipe tobacco blends and keep the present ones in circulation. I was fortunate to get a factory tour of Sutliff Tobacco Company some years ago and it was an enlightening experience that I’ll never forget. Paul Creasy is not only the President of a fine Old World tobacco manufactory, he is the ultimate gentleman and is a driving force in helping us curtail any further legislation against tobacco products in the USA. Congratulations to Paul and Sutliff Tobacco Company and looking toward another century of increasing business from them and their new owners. Interesting story. Good to hear all will remain pretty much the same and people won’t be losing jobs, infact they make be increasing their work force. Very happy to see this happening. In related news, they are planning quite an expansion of the company as well recently appointing Al Dejewski senior vice president for consumer marketing, and Eric Workman, senior vice president for strategic operations. Good news all the way around I suppose. Not sure how this will affect the domestic (US) workforce, but all seems well to this point. I am a big fan of Sutliff blends myself, having added Navigator Blend into regular rotation. Getting Atladis out of the way should be great for consumers. Congrats to Mac Baren and I wish them the best. Sounds good for pipe guys! We will have to see how this plays out. I have great confidence in Mr. Creasy to do his damnedest for the pipesmoker. What I do worry about is will he have the cash to do all the good things that he is doing currently. I just tried my first Sutliff pipe tobacco blend this week (Man’s Best Friend) and posted a review in PM Forums. I expected a minor step up from an OTC — I was taken aback on how good it is. The only thing I’d change with the Sutliff blends is add a short description on what is in the Sutliff blend on their otherwise well designed and good looking tin labels. Wow, this is quite the big deal. My congratulations to Mr. Creasy on this exciting new opportunity. I don’t smoke any Sutliff blends, but I’m sure this will only lead to a better product. Although I’m happy for both Sutliff and MacBaren, am I the only one that sees this as an indication of bad things? We keep hearing about - and there is legitimate evidence to support the idea - that pipe and pipe tobacco sales have been on a steady rise the past few years, including in the all important under-30 crowd. Despite that fact a large tobacco conglomerate decided to divest themselves of their premier pipe tobacco brand, seeing no future in it. These two things don’t make sense together. As more cigarette smokers turn to a safer product and cigars smokers look for more variety/economy they will have no product for those consumers to move towards. I won’t claim to know the ins and outs of the tobacco industry, but it seems like a bad sign that Altadis saw no future or investment value in Sutliff, especially when most of the blends were probably already using tobacco shared with their cigarettes (virginia, burley, oriental). On a different note, I wonder if Sutliff will now stop using the name Westminster on their english blend even though Pease was clearly using it first. Dirty pool, Sutliff. This actually sounds like the best move to make the Sutliff brand able to stand up on its own and have the freedom to innovate and realize its potential financially. Having the great Mac Baren support network and resources means that we as consumers will have more and better products to choose from. I definitely take it as a sign that our tiny little niche of the industry is entering a new era of growth and prosperity. In fact, I’m loading my cob with some Kentucky Planter to celebrate! Good thoughts, and I totally see your point. But I think there is more at play here. I don’t think it is so much that Altadis did not see the future in pipe tobaccos, as it was their desire to expand their cigar side of the house. I posted a blog about this yesterday (www.briarmeditations.blogspot.com) that addressed the fact that after this sell-off of the Sutliff brands to Mac Baren, that Altadis is actually expanding its business, by staff and marketing to grow their cigar product sales. I think the divestiture was as much a marketing choice as anything, in Altadis just deciding in a unified direction for their company. Not that the pipe tobacco lines were profitable or popular, just that they felt they could be more profitable and more popular with their cigars. Looking at it that way, seems to make more sense from a business standpoint. At the same time, what an opportunity for Mac Baren.